↑ Holdrege, Barbara A. (2012) (en ভাষাত). Veda and Torah: Transcending the Textuality of Scripture. SUNY Press. পৃষ্ঠা. 249, 250. ISBN 9781438406954. ↑ Dalal, Roshen (2014-04-15) (en ভাষাত). 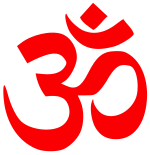 The Vedas: An Introduction to Hinduism's Sacred Texts. Penguin UK. ISBN 9788184757637. https://books.google.com/?id=UCEoAwAAQBAJ&pg=PT16&dq=vyasa+veda+samhita#v=onepage&q=vyasa%20veda%20samhita&f=false. ↑ "The Rig Veda/Mandala 5/Hymn 2". https://en.wikisource.org/wiki/The_Rig_Veda/Mandala_5/Hymn_2. ↑ Sagarika Dutt (2006). India in a Globalized World. Manchester University Press. পৃষ্ঠা. 36. ISBN 978-1-84779-607-3. https://books.google.com/books?id=I4zaCQAAQBAJ. ↑ Gabriel J. Gomes (2012). Discovering World Religions. iUniverse. পৃষ্ঠা. 54. ISBN 978-1-4697-1037-2. https://books.google.com/books?id=NpnZgzMKiS8C.